The Sherpas are an ethnic community of Tibet that lives in the mountainous regions of Nepal, in the Himalayas. This term was originally used for mountain people in Nepal. 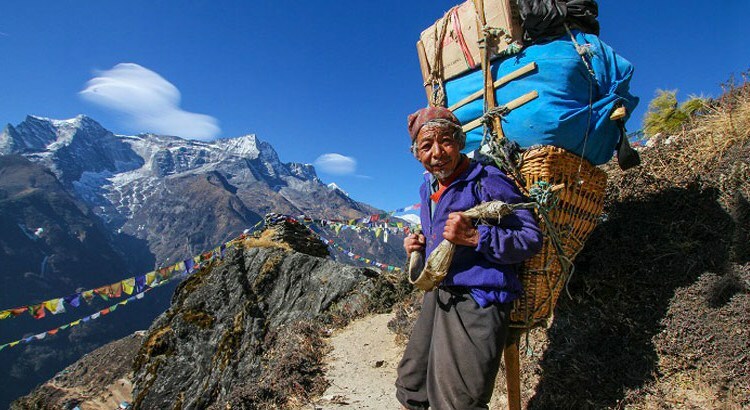 However, due to the famous importance they had as guides and helpers in the expeditions in the Himalayas, the word Sherpa was extended to any guide and assistant in mountain excursions although they were not specifically of that ethnic group. It is very difficult for most people to survive life over 4,500 meters above sea level, where the amount of oxygen is very low. The gene that the Tibetan Sherpas possess is involved in regulating the production of hemoglobin, the molecule responsible for transporting oxygen in the blood. The Sherpa of Tibet has between 10 and 15 special genes that allow it to process oxygen in a different way than any other human being. It does not produce excess red blood cells in height like any other human being, so its blood is less dense. It has higher levels of nitric oxide in the body, which helps transport more oxygen to the tissues. This gene was called "super athlete" because at low altitudes, some of its variants help athletes quickly increase hemoglobin and therefore the oxygen carrying capacity of blood, increasing its resistance. From the beginning we tried to find a metaphor that describes our work. The best we have found is the Sherpa. They are known worldwide as professionals who help others reach the top.